Determining where, how and with whom a senior loved one should live out her golden years can present challenges for any family. When it’s time to decide on care for an aging parent, relationship rifts can result. Other types of emotionally charged disputes about senior loved ones can arise as well, as AARP notes. Arguments over the right time to take away a parent’s car keys, how much family members will contribute if a parent needs financial support, and who makes decisions about end-of-life care can lead to costly, ugly court battles that tear families apart. But there is another way: mediation. Working with a mediator is a frequently used method for averting costly and drawn-out divorce cases, but it also can prove effective in other family law matters, such as disputes among adult children over caregiving for aging parents. Let’s take a closer look at the most common situations that can lead to tensions among adult siblings and how mediation can help. More than three-quarters of adults in America have at least one sibling, and 22 percent describe their relationship as indifferent or even hostile. As parents grow older, become sick and frail, and eventually pass away, those sibling relationships can become even more tenuous. Physical and mental deterioration in parents can result in siblings — who may not ever have had a smooth relationship — being forced to interact and make fateful decisions under stressful, often time-pressured conditions. An incident occurs that makes it obvious that aging parents can no longer drive or live at home by themselves. Perhaps an aging parent causes a wreck, has a bad fall or continually leaves the stove on. Siblings disagree over whether the parent should stay in his home — with a caregiver, who may or may not be a family member — or move to senior living accommodations. A parent moves in with an adult child and her spouse. Should the parent pay for adding on a room to the too-small home? An adult child moves in with his parents to provide care, and siblings disagree over whether — and how much — he should be paid. One adult child helps his aging parents; for instance, by driving them to appointments and performing home maintenance. Meanwhile, his sibling in another state feels left out and is critical of the decisions her brother makes on behalf of their parents. While some families are able to work out such issues among themselves, many reach an impasse and need assistance. This is where a mediator can step in. In many cases, simply having an objective third party evaluate a situation and provide an unbiased opinion can be enough to get family members on the same page regarding their parents’ care and living arrangements. For issues including housing, medical care, finances and end-of-life planning, a professional mediator can help facilitate difficult conversations in a calm manner that encourages everyone to focus on the most important issues and put emotions aside. Family members remain in control during the process; the mediator does not take any actions or make decisions on behalf of the parties. The mediator simply listens to all sides and encourages participants to remain focused on the issues at hand. Mediation gives all parties in a family dispute a confidential, objective forum for coming to resolution. A senior parent who is incapacitated may be represented in mediation by a guardian ad litem, usually an attorney who solely represents the parent’s interests. In many cases, mediation helps families avoid costly and emotionally harmful litigation; the process often ends with a written settlement agreement between the parties. 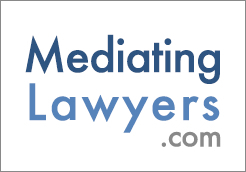 However, mediation is not a legal proceeding, and agreements are not binding. Mediation does not have winners or losers. The goal is to answer questions, solve problems and help parties find common ground. When family members talk through their problems with an objective, professional mediator, they often are able to find many more areas of agreement than they thought they would. And when individuals feel that their views are being heard, they’re often much more willing to truly listen to others. AARP notes that 40 percent of individuals who care for a senior parent report having serious conflict with their siblings. In many cases, though, a skilled mediator can bring together family members who thought they had no hope of reconciling. Mediation generally works best when parties have ongoing personal relationships but are having some problems communicating. In many cases, the barriers to coming to agreement are emotional or personal, but an incentive — often either related to time or money — exists to solve the problems without costly litigation. Adult children who are serving as caregivers for aging parents can reap significant benefits from using mediation. The process of working with an objective third party provides the best possibility of coming to agreement in a way that preserves — and even enhances — relationships among siblings. In the end, aging parents also benefit from their children working together to promote their best interests. Steven Fritsch is a Certified Family Law Specialist in the Carlsbad, CA. He focuses on helping families get through divorce and other matters in court and in mediation. When not practicing law, Steven enjoys spending time with his family and surfing in the Carlsbad and Oceanside area.